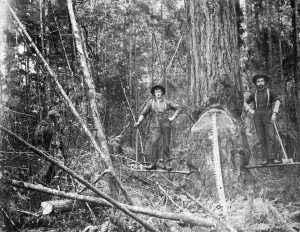 The Jackmans moved to Aldergrove (then called “Alder Grove”) in south-east Langley in early 1886 as their eldest daughter, Emily, married Aldergrove resident Gilbert Lawrence on October 21, 1885. Sarah and Philip Jackman took possession of property next to their daughter and son-in-law in January 1886 through pre-emption. Pre-emption was the process of applying to the government to own an unclaimed parcel of crown land. Once the applicants improved the property over a period of time the land would become theirs for little or no cost. Jackman declared his $500 worth of improvements to the land, and on January 28, 1888 his Declaration of ownership was signed. On March 31, 1890, a Certificate of Purchase was signed for $160 for the 160 acres, and the final Crown Grant was signed April 21, 1890, just after Jackman’s 55th birthday. 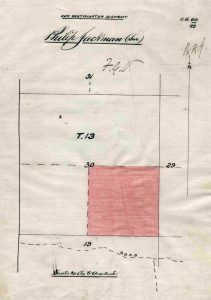 The road adjacent to the land (present day 272nd Street) was called Jackman Road as early as 1893. The area surrounding the intersection of Jackman Road and Yale Road was nicknamed Jackman’s Corners. The road went north to the Fraser River at a point called McLennan’s Landing, which sits opposite of Whonnock.